Project EverGreen will sponsor a thank-you card writing initiative at this year’s GIE+EXPO in Louisville, Ky., Oct. 17-19 to say “thank you” to U.S. military personnel. 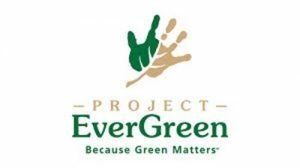 Attendees can stop by the Project EverGreen booth (#365) to write their note on a preprinted postcard. Attendees writing a note will be eligible to be entered into a drawing to win a Yeti 35-inch Tundra cooler. SiteOne Landscape Supply (# 20090). Cards with all five stamps will be entered into the drawing, which will be held at 11:30 a.m. in the Project EverGreen booth on Friday, Oct. 19.